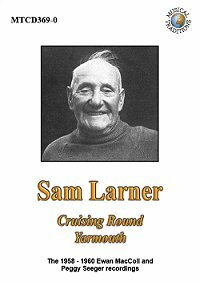 Brian Gaudet, organiser of SamFest 2015, explains why Sam Larner deserves a festival in his memory, 50 years after his death. Samuel James Larner was a natural entertainer and if Fate had been kinder he might have become a star of the late Victorian and Edwardian variety theatre or even early 20th century movies. But Sam (1878-1965) was born into the Norfolk fishing community of Winterton-on-Sea and there was a much tougher life ahead of him. As he said: "Why for me and my brothers that was either sea or gaol, and that for my sisters that was service or gaol." So, when 12, Sam signed up as a cabin boy on the local sailing vessel The Young John. It was the start of a hard working life which ironically led to him becoming one of Britain's greatest traditional folk singers -recognised around the world. As one of nine children, the young Larner was always expected to earn his keep and go into the family trade - herring fishing. The fishing community was a singing community and Sam's family were no exception. Early on he learnt folksongs from his father George (nicknamed "Bredler"), his uncle Jimmy Sutton ("Old Larpin") and his brother-in-law Bob Green among others. Aged just nine Sam would earn pennies by singing for coach parties passing through Winterton. The songs stayed with Sam all his life and started a repertoire which eventually ran to about 60 songs in total. As well as singing Sam could recite many sea rhymes and bits of fishing lore and he was noted as a good Norfolk step dancer. Sam's wife was born Dorcas Ellen Eastick in Great Cressingham between Swaffham and Thetford, Norfolk, in 1878 - the same year that Sam was born. Dorcas's father was a baker who later took on a pub, The Old Bell, in his wife's home village of Saham Toney. By 1901 Dorcas had moved to Winterton and was working as a parlour maid for the well-to-do Eliza Hume who lived at Hill House, Winterton, now the site of the Hermanus holiday centre and the setting for much of SamFest 2015. Dorcas married Sam Larner in 1903 in the Great Cressingham area and by 1911 they were living at Miriam Terrace, Winterton (probably No 8) and fostering Sam's young nephew William John Larner. For 43 years Sam worked as a fisherman - following shoals of herring as far as Shetland and Cornwall. 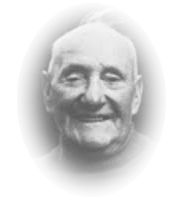 He came into contact with many other singing fishermen with repertoires from around the world who would get together in East Coast ports to make the most of time ashore - including "fishermen's concerts". "There was a singing competition in the town hall at Lerwick all among the fishermen though. "And the Lerwick ladies, they had to judge, and the gentlemen to judge the singing. And I got the most encore of the whole lot for that song. "They won't let me sit down. I had to sing them another song". Fishing trips could mean weeks away from home and when Sam and colleagues got back there was always plenty of celebrating, including singing and stepping, in the two Winterton pubs - The Fisherman's Return and the former Three Mariners. Sam, like many others, suffered the results of long hard years at sea. 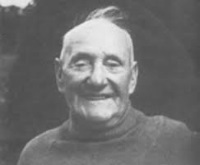 In 1933, aged 55, he was forced to leave fishing for health reasons. The early prosperous days of fishing, especially after the introduction of drifters, had long gone and the industry went into serious decline in the 1920s - before the Depression. Sam struggled on and off the dole, breaking stones on the road, planting trees for the Forestry Commission or doing whatever else came his way. Sam and Dorcas celebrated their diamond wedding in 1964 but sadly, after finding fame - if not fortune - in his 80s, Sam died on 11 September 1965. In 2008 Great Yarmouth and District Archaeological Society placed a blue plaque on Sam's Winterton cottage. Ernest John Smeed "Jack" Moeran was born on New Year's Eve, 1894, in London to an Irish father and Norfolk mother. His paternal grandfather and father were both Anglican clergyman and while still a youngster "Jack" moved with his family to the living at Bacton on the north Norfolk coast. "Jack" however was not a believer but passionate about music. As a young composer he became a keen folk music enthusiast - sometimes using traditional tunes, like Ralph Vaughan Williams in his classical works. As early as 1915 Moeran visited Winterton and collected songs from "Old Larpin" - with them later published in the Journal of the Folk Song Society. Sam, however was missed by Moeran - probably because he was away at sea. 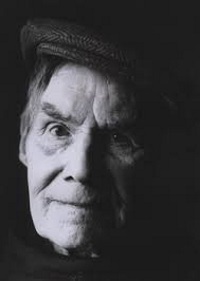 A few years later Moeran helped discover another of Norfolk's great traditional singers when he recorded Harry Cox, a few years younger than Sam, singing with others at The Windmill pub at Sutton near Stalham. In 1933 the EDP reported that farm worker Harry of Catfield was being released on a 78rpm record by His Master's Voice. 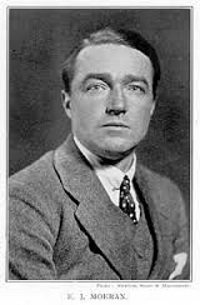 Cox (1885-1971) continued to be recorded regularly throughout his lifetime - with enthusiasts collecting about 150 songs - including some also in Sam's repertoire. Sam never made it to the variety theatre stage, or movies, as a song and dance man but in 1962, along with Harry Cox, he was filmed by Charles Parker for the BBC TV documentary "The Singer and the Song" - broadcast in 1964. In that same year the EDP reported, in a profile piece by John Anderson, that Sam was "still a singing star at 85". "'The star of East Anglian folk singing', said Sam. 'That's how I was described. An' my old chest went proud out there. I'll tell you'. "And he went on: 'Then we used sing these songs in the pub … there was one landlady who always gave me a cigar when I sang a rude one.'" 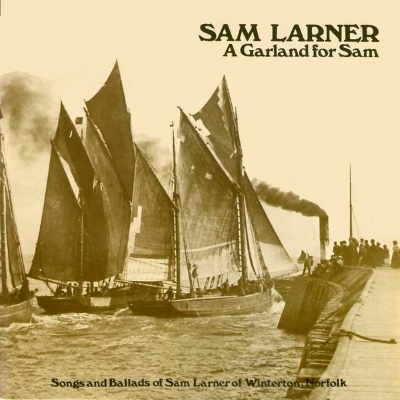 Sam's "rude" songs, love songs, tales of hardship on the seas and many more were championed early on by Norfolk singers including the late Cliff Godbold and Peter Bellamy as well as Norwich singer Peter Coleman who still performs them on the local folk scene. Sam and Dorcas had no children but the Larner singing tradition was kept alive by their nephews. And today Sam's songs are in the repertoires of thousands of singers around the world. Sam Larner was well-known locally as a good singer but it was only in 1956 that BBC Birmingham radio producer Philip Donnellan started a new chapter in his life. Donnellan was making documentaries about British working people and first met Sam in a pub. 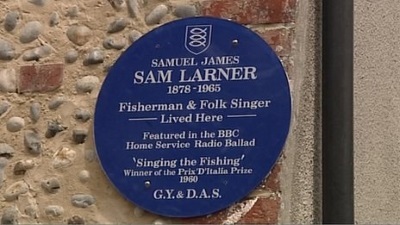 With his tales of the fishing industry - augmented by a wide repertoire of folk songs - Sam was an ideal subject. In 1957 and 1958 Donnellan recorded about 25 songs and speech from Sam, probably in The Fisherman's Return. Recordings by Sam were first used by the innovative producer in the radio programme "Coast and Country: The Wash" broadcast in October 1957. Sam was paid a guinea (£1.05). Sam was obviously considered to be a hit for he was included, with others, in a second programme, "Down to the Sea", recorded in February 1958.
released on the LP "A Garland for Sam"
A series of four more 15-minute programmes, "Sweet Lives and Lawless Billows" featuring Sam alone, was broadcast in 1960. By this time Sam was over 80 but he was still a strong singer with a confident singing style, a slightly rasping voice and a mischievous sense of humour. 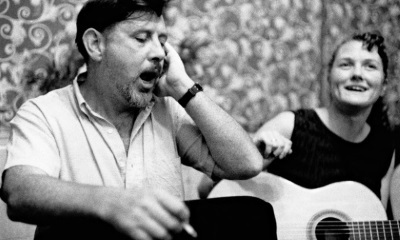 The radio programmes brought Sam to the notice of Ewan MacColl, a leading member of the emerging folk revival movement. 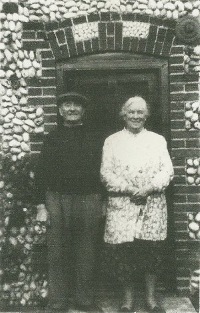 After MacColl and Peggy Seeger met Sam in Winterton, where they recorded almost 30 hours of his singing and talking, the couple helped introduce Sam to the wider word. 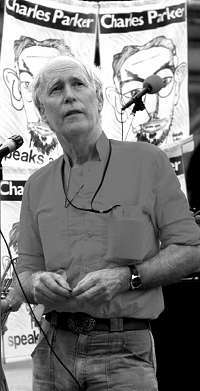 released on the LP "Now is the Time for Fishing"
MacColl invited Sam to appear at folk music venues in London and Sam spent his 80th birthday entertaining young folk devotees in the capital. He commented afterwards: "They liked them old songs, they did." 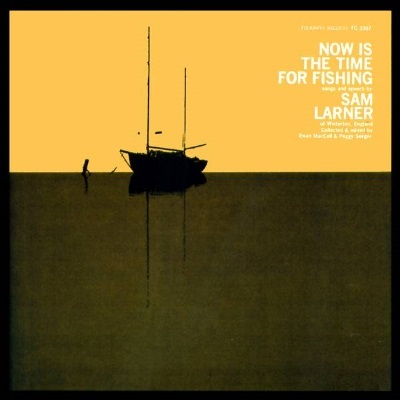 In 1960 MacColl and Seeger included 13 of Sam's songs in their influential songbook, "The Singing Island", and the following year Sam became the first English traditional singer to be featured on a full-length LP, "Now is the Time for Fishing", featuring some of the MacColl and Seeger recordings. The warm relationship between the three, and BBC producer Charles Parker, was to bear even more fruit. Ewan MacColl, Peggy Seeger and Charles Parker had started producing innovative radio documentaries - The Radio Ballads - in 1958 and had made a major impact with "The Ballad of John Axon" and, in 1959, "Song of a Road". The Radio Ballads, for the first time, featured the stories of "ordinary" working people speaking for themselves, often on location rather than in a BBC studio. MacColl wrote powerful, emotional songs to back up their stories and many of these are considered to be among his very best compositions. 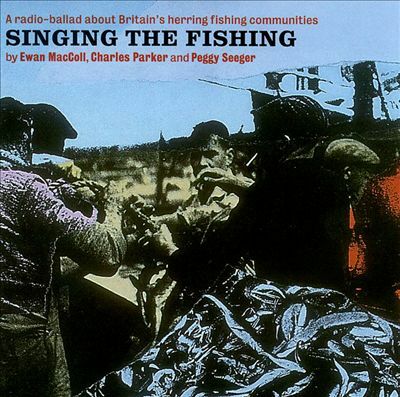 winning Radio Ballad "Singing the Fishing"
When they came to make a third Radio Ballad in 1960 it was decided the subject matter would be the East Coast fishermen of East Anglia and Scotland. Sam of course was included and it was his story of his life which led MacColl to write one of his greatest songs - Shoals of Herring. The Radio Ballad, entitled "Singing the Fishing", was a great success not only at home but also abroad and in 1960 it won the Prix d'Italia broadcasting award. And Sam was its central star. The programme has been re-broadcast many times over the past 55 years, was released on LP in 1966 and is currently available in CD format, with extensive background notes, from Topic Records. Rare recordings of Sam Larner, made in his Winterton cottage more than 50 years ago, were finally released earlier this year. The double CD set "Cruising Round Yarmouth", available from Musical Traditions, makes available all the songs collected from Sam by folk legends Ewan MacColl and Peggy Seeger in 1958-60. 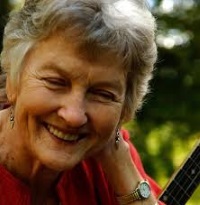 It was made possible when Peggy Seeger gave permission for all the recordings to be released commercially. Sam was in his early 80s at the time and although he could not always remember the full lyrics to some songs he comes across as a master performer - delighted at being able to share his repertoire. The CD set, with words to around 60 songs, extracts, bits of narrative, rhymes and sea lore, also includes comprehensive notes by Norfolk folk singer, fiddler, researcher and lecturer Chris Holderness. The 67-track collection, with almost two and a half hours of recordings, gives a clear picture of Sam's wide-ranging repertoire. There are "big ballads" like Outlandish Knight, Barbara Allen and Napoleon's Dream alongside saucy ditties such as No Sir, No Sir, Game of All Fours and The Jolly Young Coachman. The hazards of life on the sea are portrayed in The Golden Fenidier, The Wreck of the Lifeboat and Will Watch. Sam - married to Dorcas (nee Eastick) - had a good repertoire too of songs about marital misery and the joys of "casual relationships", although these were often kept for performance in male-only company. "Cruising Round Yarmouth" is an indispensable collection for anyone interested in traditional - especially Norfolk - folksong. It is released by specialist folk label Musical Traditions.